Want to show your support for ReDirections of Rockingham County? Want to have a great time, see a wonderful show and enjoy delicious food to show your support of ReDirections? 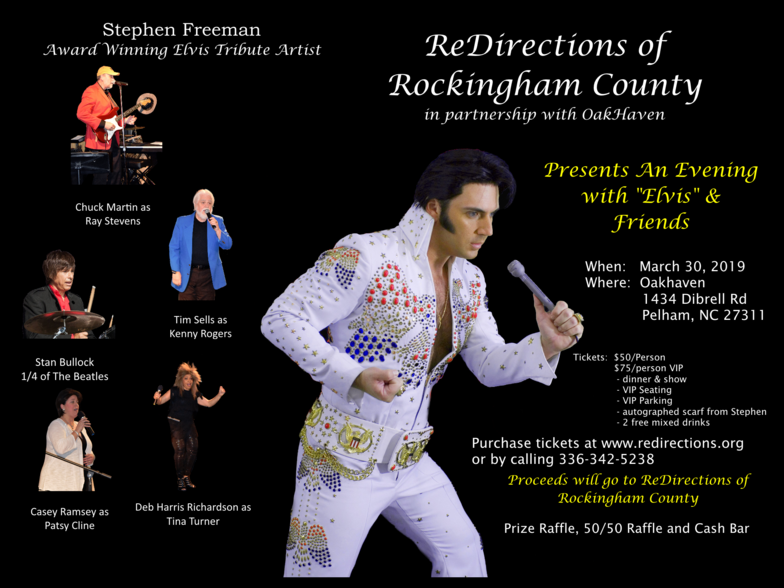 On March 30, 2019, ReDirections of Rockingham County in partnership with OakHaven presents An Evening with "Elvis" & Friends as our main fundraiser for 2019. See link below to purchase tickets online.